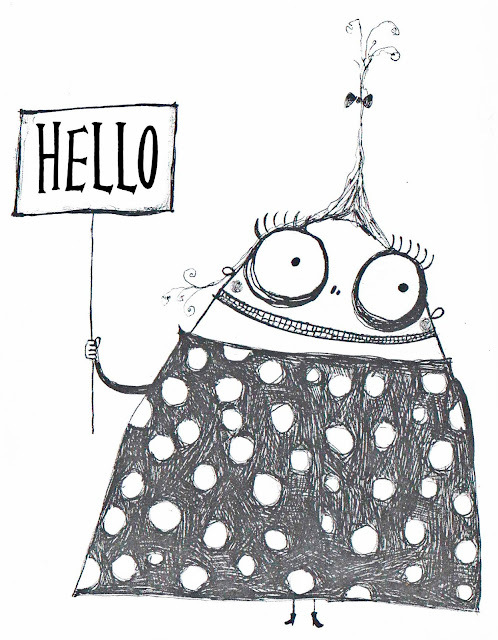 Flora wants to say *hello* .....but she's a bit shy! She put on her best dress and made a SIGN! Labels: black ink, cute., humour, illustration. IF got me here, love this one, very burton!